Since 1970, only a handful of incredibly lucky people have walked away as the sole survivors of commercial airline crashes. Often described by the media as miracles in the flesh, these individuals lived through astonishing circumstances to cheat death – but the aftermath, the trauma and the long road to recovery are far from glamorous. Overwhelming grief, survivor’s guilt, post-traumatic stress and excessive media attention are just a few of the challenges these sole survivors have had to overcome, on top of the tragedy that will mark their lives forever. These 10 accounts are stories of extraordinary hope and determination, as the shell-shocked survivors have tried, little by little, to rebuild and move on with their lives. Grief and trauma increase the self-doubt of people who lose others suddenly, and it can make them feel that they have lost their safety and security. Addressing these issues and making sure the survivor has a support system are crucial to that person’s recovery. “Everything that I knew that was normal prior to August 27 was not normal anymore. Just everything changed,” recounted James Polehinke in the 2012 documentary Sole Survivor. 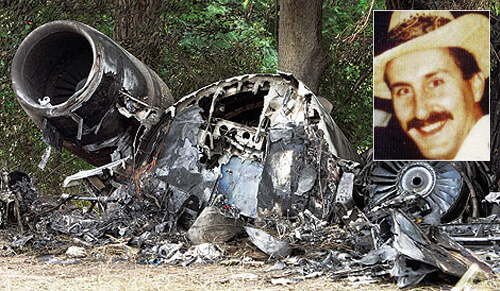 In 2006, Polehinke was the co-pilot of Comair Flight 5191 from Lexington, Kentucky to Atlanta, Georgia. Pilot Captain Jeffrey Clay accidentally taxied to the wrong runway before handing Polehinke the controls. Not only was the runway unlit, it wasn’t long enough for the aircraft to take off from safely. The passenger plane hit a low wall, grazed the airport fence and crashed into some trees. Out of 50 people on board, 49 died. 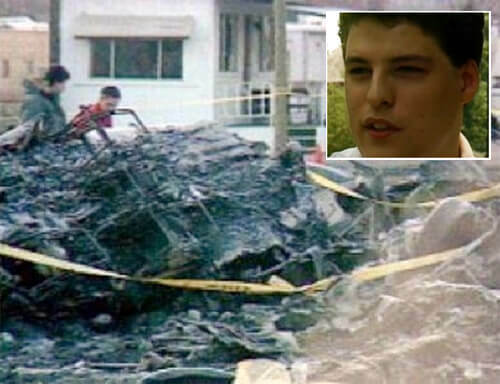 Polehinke was partially blamed for the crash, and perhaps because of this, he never talked to any of the victims’ families and moved to Colorado. Director of Sole Survivor Ky Dickens says Polehinke – who suffered serious brain injury because of the accident – is haunted by what happened and wishes that he too had died. Polehinke’s main concern is for the victims’ families. Although Polehinke’s mother said in a telephone interview that her son would “never be right, ever,” in the documentary Polehinke himself cast a little more hope on the situation. “Regardless of how catastrophic one’s event might be, you can still push forward,” he said. On January 11, 1995, Intercontinental de Aviación Flight 256 exploded in midair and crashed into a swamp near Maria La Baja while on its way to Cartagena, Colombia. Nine-year-old Erika Delgado was thrown from the plane and landed on some water plants, which cushioned her fall. Although it was after dark, locals heard Delgado’s cries and rescued her. Fifty-one people died in the crash, among them the girl’s parents and little brother. During Delgado’s days in hospital, her eight-year-old school friend Diana Carolina Hincapie barely left her side. Hincapie proved to be a key figure in helping Delgado cope through her ordeal. Psychologist Juanita Gempeler says that because of the situation Delgado lived through, her friend acted as an anchor to her personal history. Hincapie became the crutch on which Delgado supported herself. With almost every other link to Delgado’s past gone, her young friend not only comforted her in the midst of her sadness, but also gave her the opportunity to talk, smile and, at times, even get her mind off the tragedy. 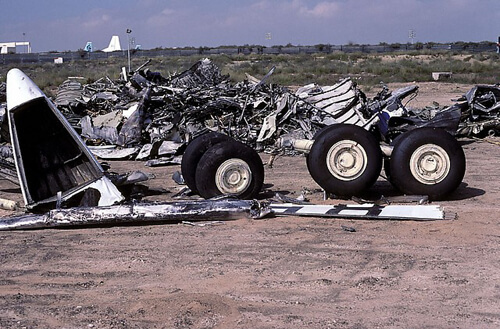 On January 21, 1985, Galaxy Airlines Flight 203 crashed in Reno, Nevada soon after taking off. George Lamson, Jr., aged 17, was thrown from the plane while still strapped into his seat and landed upright. He unbuckled himself and sprinted towards a nearby field as the plane exploded. Two other people, including Lamson’s father, were rescued from the crash site, but they died within weeks, leaving a death toll of 70 people. On December 15, 1997, Tajik Air Flight 3183 crashed while on its way to Sharjah, United Arab Emirates. The flight seemed to be going smoothly, when suddenly and inexplicably the Tupolev Tu-154 airliner disappeared off the radar before crashing. Only two of the 86 people on board were found alive; these were 37-year-old flight navigator Sergei Petrov, and a woman who died on the way to hospital. The plane’s debris was spread out over a mile, which makes Petrov’s story even more miraculous. While little is known about the accident or the reason for Petrov’s unlikely survival and recovery, the probable cause of the crash has been attributed to pilot error and a small amount of turbulence. Interestingly, according to Vietnam veteran Ken Jones, a crucial step in the post-traumatic stress recovery process is finding the words to express your feelings and talking to someone you trust. Therapy can play a pivotal role in helping survivors to come to terms with the tragedy. Seventeen-year-old Juliane Koepcke had no idea what awaited her when she boarded LANSA Flight 508 with her mother on Christmas Eve 1971. The plane was heading to Pucallpa, Peru when it flew into a thunderstorm. A bolt of lightning hit one of the aircraft’s fuel tanks and ripped off one of the wings. 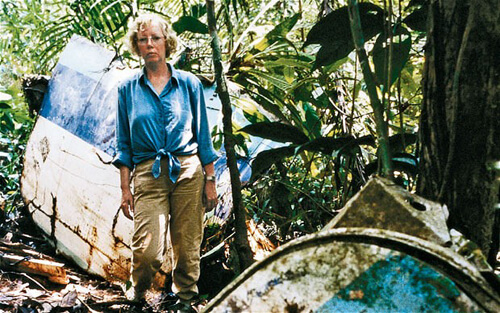 Still buckled into her seat, Koepcke was torn from the plane and fell two miles through the sky and into the Peruvian rainforest. She came around the next morning with a concussion, a broken collarbone and a few gashes. Unbeknownst to her, the other 91 people on board, including her mother, had died in the crash. For the next 10 days, Koepcke trekked through the jungle wearing a cotton mini dress and one white sandal, half-blind without her glasses. Her discovery by forest workers on January 3, 1972 sparked a media onslaught – which, after a year, made Koepcke feel as if she was being hunted by dogs. So she withdrew. Koepcke was never offered counseling and she bottled up her emotions. She suffered from recurring nightmares and struggled to deal with her mother’s death. 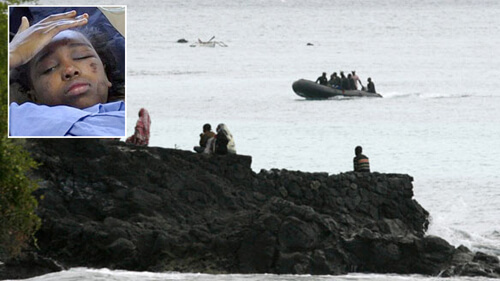 One year before Juliane Koepcke’s harrowing ordeal, another LANSA flight ended in tragedy. On August 9, 1970, LANSA Flight 502 crashed into the Peruvian hills around San Jerónimo. 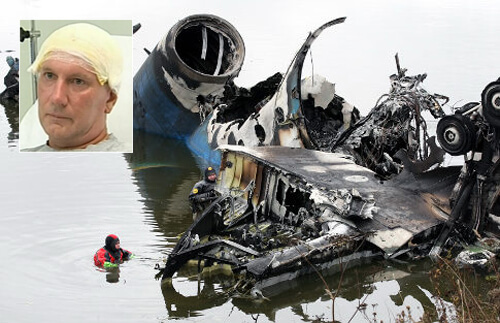 Crew error, maintenance issues and incorrect loading of the aircraft are thought to have been behind the accident. Tragically, the crash killed 99 of the people on board and two farmers in the area. The sole survivor of LANSA Flight 502 was 26-year-old student and co-pilot Juan Loo. 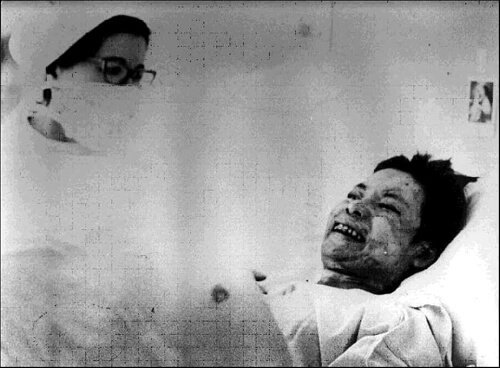 Although Loo suffered serious burns, he made a complete recovery and currently resides in the US. Meanwhile, a statue was built at the site of the crash to commemorate those who died. 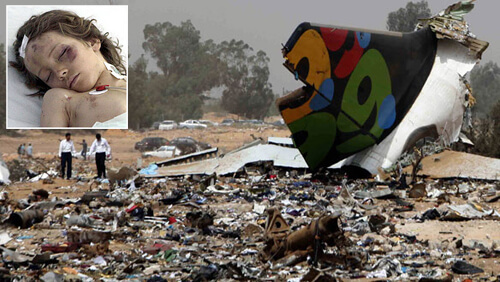 On May 12, 2010, Afriqiyah Airlines Flight 771 exploded when it landed in Tripoli, Libya. 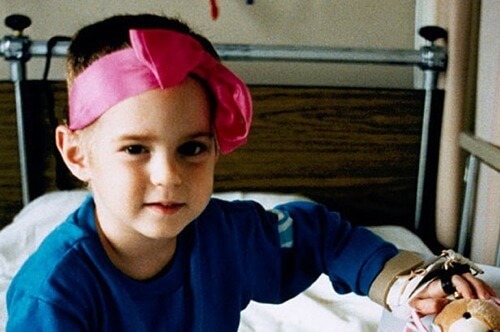 Nine-year-old Ruben van Assouw was the only survivor of the crash, which claimed 103 lives, including those of his parents and his brother. The Dutch boy sustained numerous fractures to his legs and was kept in hospital in Libya and then the Netherlands. After the crash, his aunt and uncle reported that he was doing well under the circumstances. They had hoped to travel to Libya, because his aunt said, “[Ruben] wants to know what happened,” but the civil war prevented them from going. Protecting young survivors from excessive media attention and allowing them to maintain a sense of normality can also be crucial to their recovery. Wisely, Ruben van Assouw’s guardians didn’t take him to a memorial for those who died in the accident, as they didn’t want him to become the subject of a renewed media onslaught. Teenager Bahia Bakari doesn’t remember a great deal about what happened on Yemenia Flight 626. On June 30, 2009, the Airbus A310-324 crashed into the Indian Ocean, killing 152 of the 153 people on board, including Bakari’s mother. Despite the fact that she was a poor swimmer and didn’t have a life jacket, the French schoolgirl managed to hang on to a piece of the wreckage for as long as 13 hours. When rescuers found her, she was surrounded by dead bodies floating in the water. Yet although hypothermia had set in, she had surprisingly few major injuries, a broken collarbone the worst of it. Northwest Flight 255 stalled shortly after taking off from Detroit on August 16, 1987. The airliner hit a light pole, caught fire, smashed through a nearby roof, and plowed into a road, colliding with vehicles before breaking into pieces and going up in flames. The crash killed 154 people on board the plane plus two motorists on the roadway. Four-year-old Arizona native Cecelia Cichan was the sole survivor. The catastrophe also claimed the lives of Cichan’s parents and older brother. In 2012, Cichan, then 29, said that she thinks about the crash all the time, her physical scars serving as reminders of that fateful day. Despite this, Sole Survivor director Ky Dickens said, “I can say that Cecelia is happy, she’s grounded, she’s doing wonderful. She’s in a committed relationship.” With proper counseling and loving support, even the most damaged survivors can live whole and meaningful lives – even when their bodies and histories are marked by the devastating tragedy.